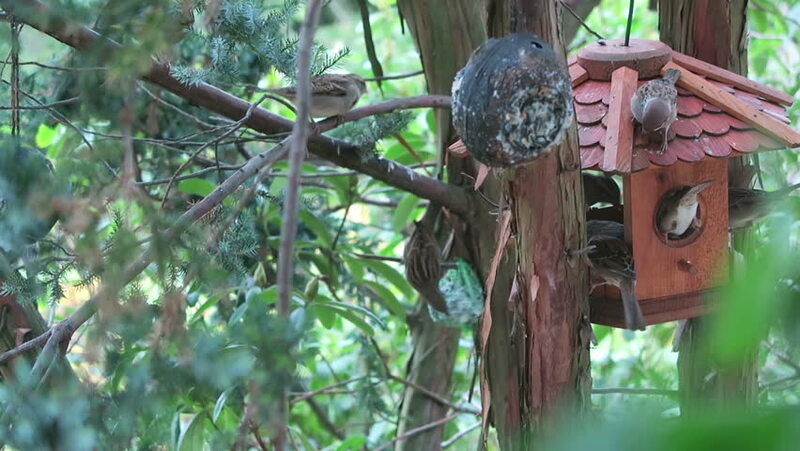 sparrows and green finch on a bird feeder house looking for food. hd00:10Owl with ears setting wake up from sleep looking at photographer,hd video. Sleepy Oriental scops owl ,low angle view. hd00:09Garbage dump in the forest, environmental pollution, sunny summer day, forest, beautiful green trees. hd00:11PENNSYLVANIA - AUGUST 2012 - large-scale, epic Re-enactment, recreation -- in the middle of battle. U.S.Army Soldiers, G.I., fire rifle in combat. muzzle flashes, gunfire in camouflage. M1 Garand.